Perfect the ebb and flow of your living room’s energy by applying the ancient principles of Feng Shui. The living room is a place for gathering with loved ones, relaxing, and enjoying socializing and leisure time. But a poorly arranged living room can cause stress and anxiety, while a carefully designed living room that respects the guidelines of Feng Shui can provide a calming and productive energy. Feng Shui is the ancient Chinese practice of balancing the flow of energy through a space. According to Feng Shui, people are affected by the way their surroundings are placed and presented. 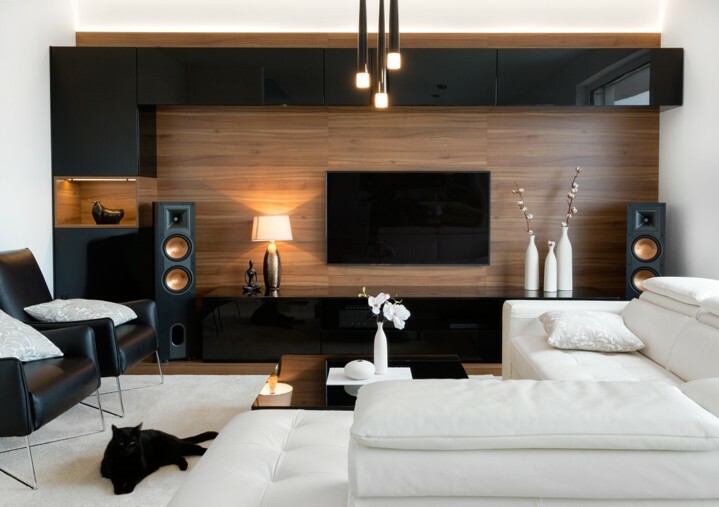 Follow these five Feng Shui rules for the perfect energy-optimized living room. Placing the back of your sofa against a window is very problematic according to Feng Shui. Not only does this interfere with the flow of energy in and out of the home, but it also causes you, your family and guests to literally turn your backs on the view outside the window. Any landscape or natural scene outside should be admired and absorbed into your personal and collective energy. It is even recommended that you reflect any particularly pleasant view back into your living room by placing a mirror on the wall opposite the window. Instinctually, people become anxious when they cannot see a door. We want to know that we will be alerted if an intruder attempts to enter the domain, and also that we can make a hasty exit if necessary. To prevent this restless energy from draining anyone in your living room, make sure that every seat in the room can easily see the front door. This automatically puts everyone more at ease. Crystals, gems, and coins are symbols of wealth. A bowl of them, known as a wealth bowl, on your coffee table attracts more opportunities for collecting wealth into your home. There is no need for your wealth symbols to be real. 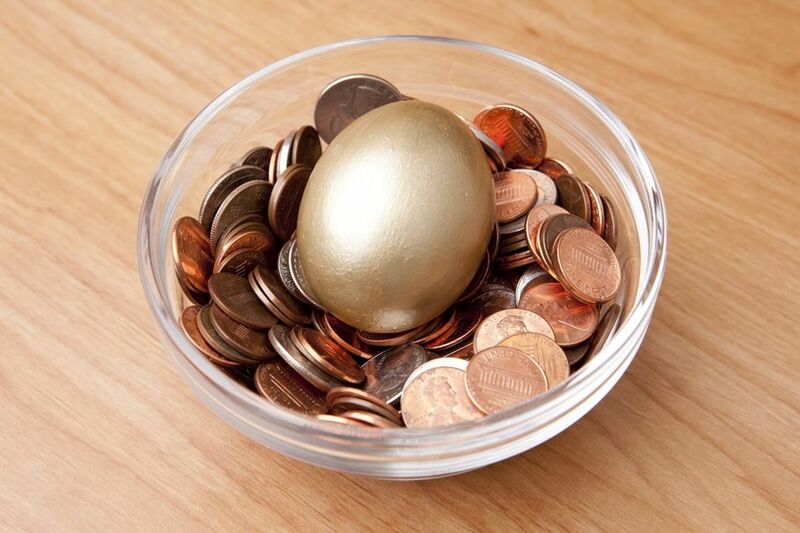 Wealth bowls can be made with gold painted rocks and faux gems or coins. As long as the symbolism and the intention are there, the energy of prosperity will be attracted to your home. To attract positive energy into your living room, you must decorate its walls with images that promote this vibe. Bountiful landscapes and depictions of smiling, happy people will serve to best inspire the type of energy you seek for your living room space. You may wish to use a mirror to reflect back any art that particularly inspires your energy. Avoid gloomy or uneasy paintings, like stormy seas or troubled-looking faces. Feng Shui tells us that we should be cautious when it comes to our use of mirrors. Mirrors should only be used to reflect a view that is especially joyful, like a pleasant landscape outside a window or a favorite piece of art. It is easy to overlook the fact that when a television is turned off, its screen acts as a mirror. 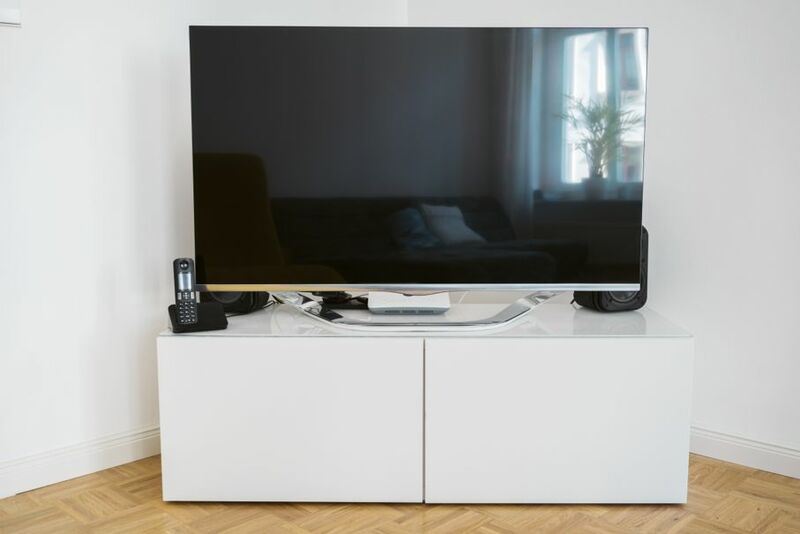 Choose a storage solution that allows you to cover your television screen when not in use. Alternatively, you may carefully place your TV so that its reflection when not in use will act as a strategically placed mirror, reflecting something positive and jubilant into your living room. Commercials and ads bombard us all day telling us to accumulate things. Eventually, many people find themselves surrounded by clutter. It’s all stuff that they haven’t used for years but just can’t get rid of. Letting go isn’t easy. It’s probably not at hoarder-level chaos but take a look in the average person’s garage and you’ll see skis that haven’t been used in forever, and old bikes long outgrown. Clutter is the enemy of Feng Shui because it interrupts flow. It’s disjointed and disrupts positive energy in a home. Decluttering can be difficult, but the process is freeing. Not only do you improve Feng Shui by opening up more space in your home, you achieve inner peace knowing that there’s more to life than possessions. Focus can turn towards arranging your home for maximum Feng Shui once the clutter is out of the way. Using Feng Shui in interior design begins with incorporating its five basic elements: wood, water, fire, earth, and metal. Wood – Wood denotes creativity and growth. Using wooden elements in a home is believed to promote strength, flexibility and symbolize new birth. 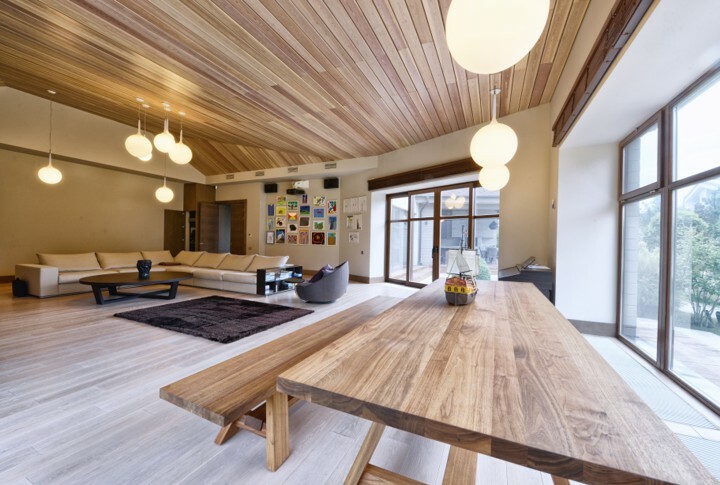 Wood has a calming effect, but if used too excessively, it can make a home feel rigid. Easy ways to bring wood into a home is to place plants around, and to seek out natural accents on furniture like chairs and tables. Water – Water elements in a home stoke spirituality and peace. A water element in the house is also great because it makes calming ambient noise. If you don’t want the risk of a fish tank or fountain spilling in your house, opt for water colors like deep blue and sea green in your textiles. They’re believed to increase sympathy and stave off feelings of stress or loneliness. Mirrors and other reflective materials also belong to the water element. Fire – Fire represents passion and leadership. Fire warms the home and instills boldness in people who live around it. Without fire, people are believed to have a lack of direction in their lives which can lead to low self-esteem. Candles, fireplaces, and other fire elements are a great way to break up monotonous rooms. Taking full advantage of natural sunlight is another great way to add more “fire” into a home. If you’re still looking to bring more fire elements in, colors like pink and red are a great choice. Earth – Earth is a grounding force that emits a feeling of sturdiness and strength. Too many earthy elements in a home can be dry. It comes off as too monotone. However, homes that lack earth tones represent the absence of focus. Earth colors include brown, sand, tan, and green. A great way to add more earth into a home is with landscape art, pottery, and rectangular furniture. Metal – Metal stands for clarity and logic. It’s clear cut, and analytic. While too much metal can come off cold and emotionless, adding some metal elements into a home is thought to improve clarity. Silver, and gold colors are fantastic ways to add metal tones in a house, as are metal lamps and other finishes. It’s believed that metal fits best in round shapes like circles and ovals, rather than the harsh angles of squares or rectangles. There are times that dim lighting works, but usually it suppresses moods. Making sure there is good lighting in a space is a fundamental to good Feng Shui. Don’t settle for dark hallways or corners in the home. Buy higher wattage lights that will brighten up the place. It will have a direct impact on how you feel inside. Open as many windows as you can to let natural light in whenever possible. Mirrors also reflect light and energy. Make sure to hang a few mirrors around the house but be selective about where you put them. 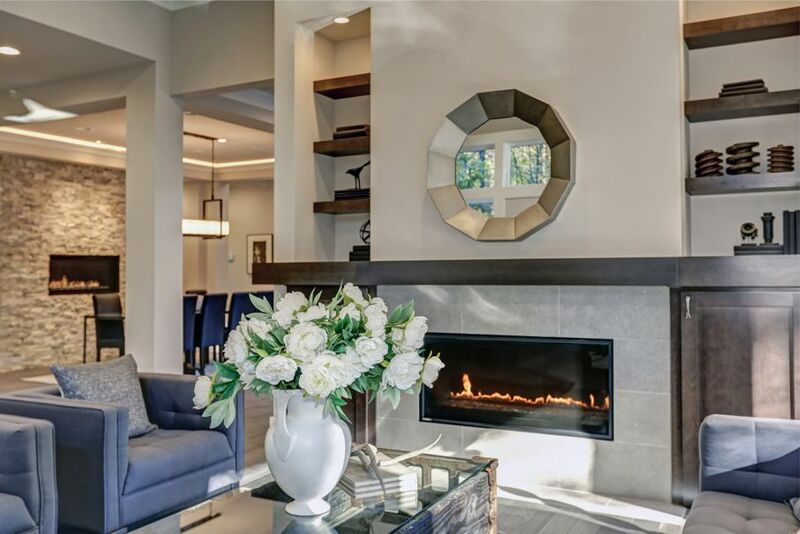 Mirrors that reflect beautiful parts of your home will put off good energy. Avoid having them reflect a bathroom or a messy kitchen. Start small by opening up the front door more often. It’s believed that energy flows into a home from the outside, so open up the door. You will at least get the benefit of more natural light and hopefully a nice breeze. Buy a few plants and put them around your house. The natural green and wood will have a calming effect inside. Tending to them and seeing them go will also give you a sense of satisfaction. If you’re going to focus on one room in the house, start with your bedroom. It’s where you spend a lot of time, most of it fast asleep. Purchase high quality fabrics and curtains that make the room peaceful. Go for earth or water elements that will make falling asleep easier. Improved sleep is one of the key aspects to living a happier, healthier life. You don’t have to completely overhaul your house to add Feng Shui. Focusing on these small steps will help you know if the design theme is for you. Returning back to the elements of Feng Shui, it is important to incorporate all of those elements in a balanced manner. The overall goal should be to fine tune how you introduce those various elements into your general design scheme. As you can see by some of the photos above, multiple elements are in play and they all complement one another. Candles on a wood table represent both fire and wood, which are two elements of Feng Shui that play well together as wood feeds fire. 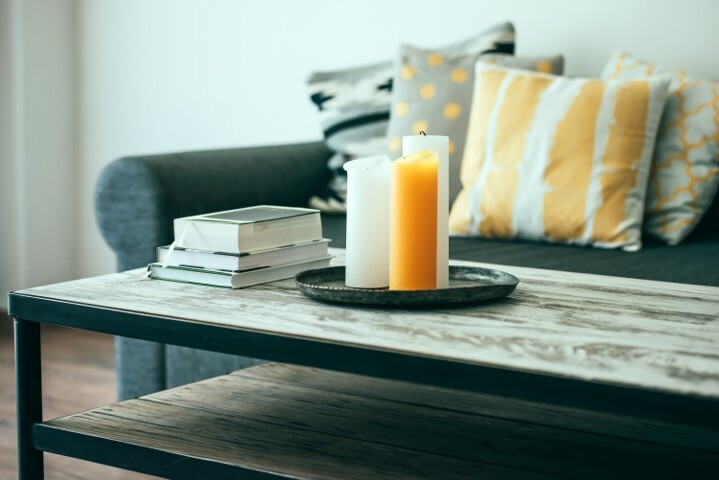 Now ideally, your wood table won't serve as fodder for the flames of the candles, but it might be good to ensure your candles are contained and pose no risk of igniting your house. That would be the kind of negative energy you typically remove from your house when pursuing a Feng-Shui-friendly design. Plants are an excellent way to maximize Feng Shui in your living room. Again, you don't need to turn it into a forest, but using plants to fill out empty or unused space is a smart way to incorporate plants into your design scheme. After all, harmony between man and nature is a common theme in philosophy and Feng Shui. So get some succulents and hang them in the corners or near natural light sources. 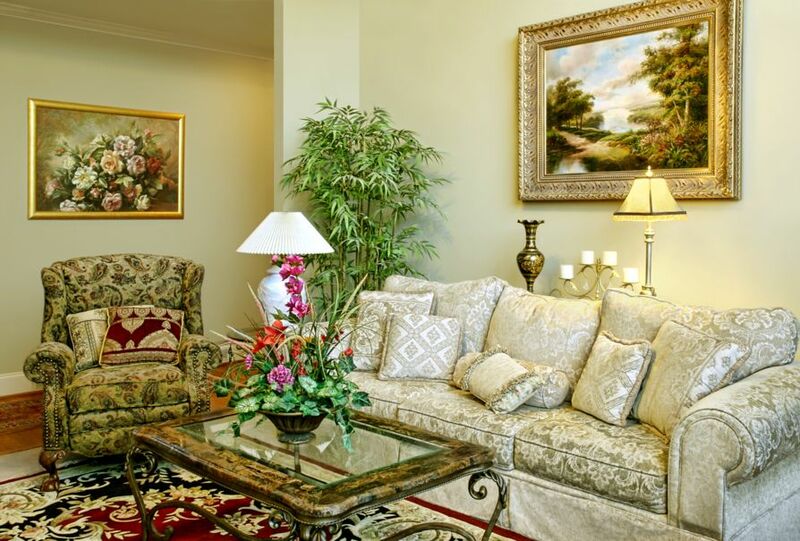 One of the most important elements of Feng Shui is ultimately creating harmony within a space. While the guidelines above certainly help in a general sense, it's important to remember we are a fairly subjective species and that many of our preferences are not collectively shared. Knowing yourself and what makes you comfortable is a vital part of implementing effective Feng Shui because ultimately it's about ensuring efficiency of space as well as creating a space that is welcoming, comfortable, and brings about inner peace on a regular basis. 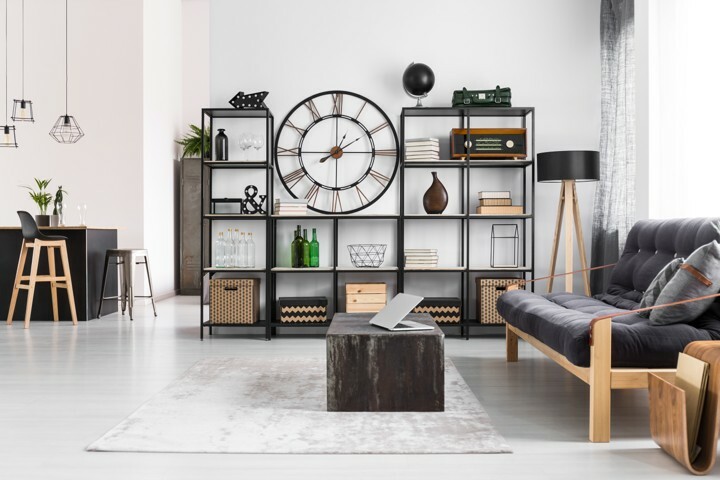 So with that in mind, it's important that you not only ensure you have ample space for you and others to move around your living room, but that you create an overall energy or vibe that you yourself feel empowered or refreshed by. 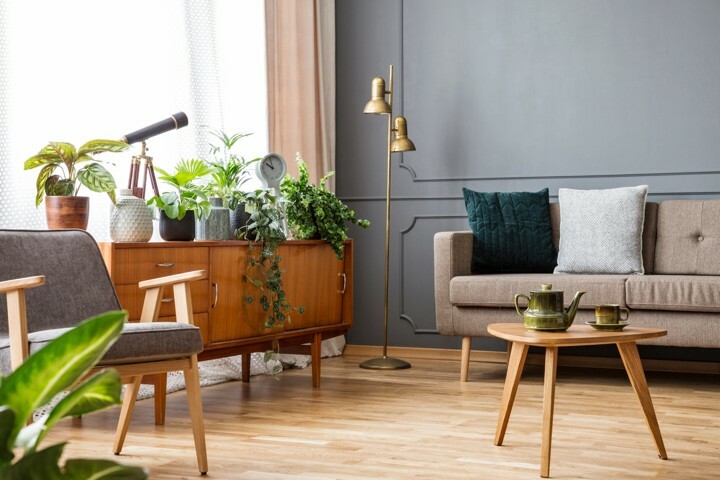 Incorporating these various Feng Shui rules into your living room design will maximize the positive energy you and your guests feel there, and will give you enough basic knowledge of the art to begin to assess other areas of your home’s living spaces. Feng Shui can seem incredibly complicated and intimidating. It's possible, however, to break down and simplify these age-old philosophies into easy-to-follow modern guidelines for optimizing the energy in our homes.